A humpback whale carcass that was towed offshore by Newport Beach lifeguards last Thursday was preyed upon by a large great white shark on Saturday, and towed offshore again Monday after nearly washing onto the beach in Oceanside in North San Diego County. The accompanying footage was captured by Keith Poe about 15 miles offshore, southwest of Dana Point. With Poe was Ryan Logan, a Cal State Long Beach Shark Lab grad student, who placed two scientific tags in the female shark estimated to measure nearly 18 feet. The carcass is that of an adult female humpback whale nicknamed Scarlet. The cause of death has not been determined, but the whale had previously endured a prolonged fishing gear entanglement, and subsequent lice infestation. The carcass was towed by Newport Beach to avoid a messy situation if it were to wash ashore. The carcass was under tow again early Monday by Oceanside lifeguards, after being spotted yards from the coast. "The carcass almost entered the surf line, and had it done so it would have ended up on the beach," said Greg DeAvila, battalion chief for the Oceanside Fire Department. The adult female white shark was believed to have long since abandoned its feast, but DeAvila said there were "still plenty of other fish" swimming around the carcass. He added that lifeguards hoped to tow the carcass 10 miles offshore. So in essence, once again, one county has passed a whale carcass off to another. After Wally washed ashore near the bottom of the stairs at Grandview Beach in Encinitas, contractors were called upon to truck the remains to a landfill. *Updated with drone video at 10 p.m. Dozens of sperm whales were spotted Monday afternoon off Trump National Golf Club on the Palos Verdes Peninsula, sending marine mammal enthusiasts scrambling to locate them from boats. The extremely rare sighting – single foraging males are occasionally seen, but this is a nursery pod including young whales – comes during a six-day period that has included rare sightings of two types of killer whales in Southland waters. 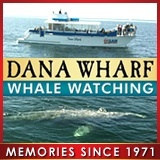 Harbor Breeze Cruises was with the sperm whales during two afternoon excursions on Monday. Capt. Mike Redlew of the La Espada said after the first trip that the pod exceeded 100 animals. They were spread out in sub-groups and traveling to the south, toward Long Beach. Said Tim Hammond, a photographer aboard the boat: "They were literally all around the boat. Everywhere you looked there was a blow, it was incredible." Sperm whales, iconic toothed whales that prey on giant squid, last showed in force in October 2014 off Orange County, as a pod numbering about 50 animals. At the time, Jay Barlow, a sperm whale expert with NOAA, said that he knew of only one other instance where a large group of sperm whales had passed between Santa Catalina Island and the mainland. According to the latest estimate by NOAA, the minimum population of sperm whales off California, Oregon, and Washington is about 750 animals. They spend most of their time feeding so far offshore that they’re rarely seen. Because of Monday’s sighting, and the whales' southerly course, whale-watching operations in Orange and San Diego County will be on full alert Tuesday. Last Wednesday, about 50 offshore killer whales spent much of the day off Orange County, in another extremely rare showing. Over the weekend, offshore killer whales and transient killer whales were spotted in different areas off Ventura. Whale watchers off Cape Cod watched in awe this week as an enormous basking shark appeared near a feeding humpback whale. Basking shark sightings are rare, and the migration patterns of the planet’s second-largest fish – second to whale sharks – are still largely a mystery to scientists. The accompanying footage, captured aboard a Hyannis Whale Watcher Cruises vessel, shows the massive filter-feeder gliding just beneath the surface, its mouth agape, consuming plankton. Basking sharks typically reach lengths of about 30 feet and are found in temperate waters around the world. Another basking shark sighting occurred earlier this month off Penzance, England. That encounter was videotaped by a kayaker. Basking sharks, which pose no danger to humans, were named because of the lazy manner by which they swim in their endless search for plankton blooms. They’re listed as “vulnerable” by the International Union for the Conservation of Nature (IUCN). The influx of pelagic red crabs into Southern California waters, and onto area beaches, piquing the interest of beachgoers and attracting huge bluefin tuna, which have been foraging on the tiny crustaceans. The crabs’ arrival, during the past couple of weeks, has been linked to the strengthening El Nino, a warm-water phenomenon originating in the equatorial eastern Pacific. The bright red crabs, also called tuna crabs, are easy to spot, and some of the live critters, before they become stranded and die, have wreaked minor havoc at surf spots. “They were pinching me out there,” Ethan Mudge, a NSSA competitor who was referring to one of his heats Sunday at Salt Creek in Laguna Beach, told the Orange County Register. “They were hard to paddle through." On Monday evening, Capt. Brian Woolley of the Sun Fun out of Dana Wharf Sportfishing, located a massive swarm of crabs on his sonar. The crustaceans later floated to the surface, the way squid schools sometimes rise to feed after dark. Meanwhile, anglers and spear fishermen have been catching and spearing giant tuna as close as five miles from shore. The photo at right shows Dallas Clifton posing with a 134-pound bluefin caught off Dana Point. (Photo is courtesy of Accurate Fishing. One man speared a 130-pound tuna from a Jetski. Video has surfaced showing a fairly large marlin beaching itself at Rincon, Puerto Rico, and then thrashing around in the surf for the next several minutes. This is rare behavior for marlin, which reside in pelagic waters and are almost never spotted close to shore. It's not known whether the marlin had previously been hooked, or whether it was sick. It was identified as a blue marlin in the footage, which is shaky at times, but shows the marlin apparently trying to feed in shallow water. “What’s he doing? He’s chasing fish. He’s chasing ballyhoo!” the video commentator says. The video description reads, “Blue marlin kills Itself at Rincon, Puerto Rico,” but the footage does not show the marlin actually stranding. Stylish new wetsuit is an actual suit, but will it catch on? A whale shark recently decided to nudge and loiter around a charter boat for four-plus hours off Australia’s Northern Territory, so of course one of the crew was compelled to jump in and ride the critter. The nighttime encounter occurred 100 miles west of Darwin, and at one point the whale shark, which was feeding with its mouth open, bumped into a 15-foot tender tied to the mother ship. “He ain’t real smart. Lucky he’s pretty,” one of the men can be heard saying in the accompanying footage. The boat was from Cannon Charters and the commentary is from Benny “the Bushman” Sambrooks, a guide who seems to be the person jumping in to swim briefly with the whale shark. Whale sharks are the world’s largest fish, reaching lengths of about 40 feet. They’re found in tropical seas around the world, but their migration patterns remain mysterious. Fortunately for Sambrooks, the sharks feed largely on plankton and are harmless to humans. It has been a tough year for California sea lion pups, which have struggled to find food and have been delivered to care facilities by the hundreds. But only one that we know of has ended up in the back of a police car, having been picked up recently for its own safety after being discovered a quarter-mile from shore on Highway 1 near Forth Bragg, in Northern California. “Due to the darkness and the dense fog the animal was very difficult to see and would have certainly been struck by a vehicle if the deputies had not stopped,” reads an incident report from the Mendocino County Sheriff’s Department. The sea lion was just a baby, measuring 30-plus inches and weighing about 20 pounds, according to the report. But it was no stranger to humans, the officers realized, when it began to snuggle against their legs like a kitten craving affection. It turned out that the sea lion, which wears an orange tag on its front flipper, had recently received care at the Marine Mammal Center in Sausalito, near San Francisco. It had been fattened up and set free, but apparently decided to take its chances by wandering inland. Whether the tiny pinniped will remain in its natural habitat remains to be seen. Giant manta rays are revered by divers, who find their presence soothing because they’re so gentle, and soar through the ocean with such grace. But during a recent expedition to a remote area off Peru, Josh Stewart was surprised to find himself being tucked into the winged fins of a 15-foot manta and somersaulted during a brief encounter that may be the first of its kind. “In all my years of filming and interacting with manta rays, I have never witnessed such an extraordinary interaction between a manta ray and a swimmer,” Shawn Heinrichs, a renowned photographer and cinematographer, wrote on the WildAid blog. Stewart was photographing the manta ray as part of a long-term identification project for Manta Trust, aimed at better understanding these mysterious plankton eaters. It must have been a huge surprise, as mantas are among the ocean’s gentlest of giants. Divers used to ride on their backs, before that came to be regarded as intrusive and disrespectful. Heinrichs theorizes that this manta may have never encountered a diver before, and was merely reacting to the presence of a strange invader in its midst. “Perhaps out of curiosity, or possibly to send a not-so-subtle message, the manta performed its acrobatic somersault and scooped Josh’s fins between its cephalic fins, spending Josh spinning,” Heinrichs wrote. The two were conducting research along with Planeta Oceano, with support from the Disney Worldwide Conservation Fund, and are seeking more protection for critters that are vulnerable to all types of indiscriminate fishing practices.